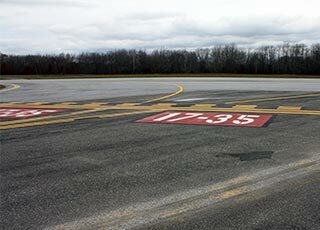 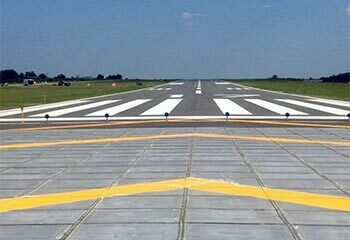 Fine Line also specializes in airport pavement markings. 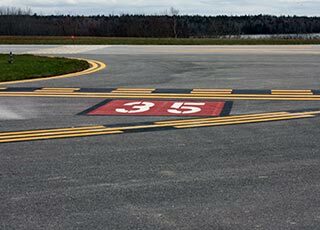 With difficult schedules and specifications, we work closely with the FAA, project Engineers and Contractors to make certain these markings are installed properly and to project and federal specifications. 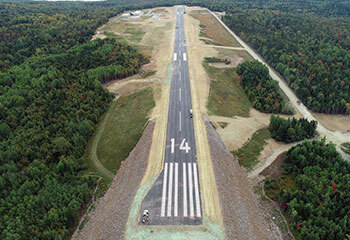 In 2009, Fine Line handled 100% of new construction at Maine's airports. 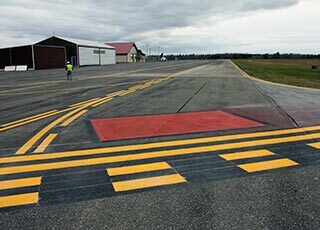 We have also completed numerous re-stripes and Military Base projects and come highly recommended by some of Maine's leading Airport Engineers and Contracting firms. 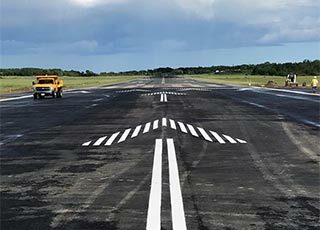 With our professional and experienced team and our state of the art equipment we can complete any size project within deadline and budget.